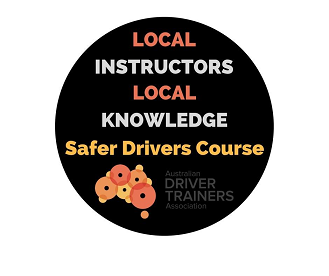 The safer drivers course was first introduced by the Roads and Maritime services in 2013 to help reduce the number of fatal crashes involving drivers aged under 25. Crash statistics show that drivers aged 17 to 25 are the most at risk of being involved in a fatal crash. The safer driver course teaches you how to identify and manage the various risk factors that contribute to fatal accidents. The course provides an interactive learning program specifically designed to provoke group discussions and involve the participants in a fun and engaging manner. This is a practical two hour learning session in a vehicle with a qualified driving instructor and another learner. This module allows students to “put into practice” what they learned in the classroom in module one as well as learning more about applying safer driving techniques. Should I do the Safer Drivers Course? This course is a great introduction to the risk factors involved in motor vehicle accidents. It will provide you with the knowledge and tools to help you minimise these risks and become a safer driver. Module one covers safe following distances, crash avoidance spaces, gap selection and hazard awareness. Module 2 puts all this theory based learning into practice. This will give you a better understanding as to why these factors are crucial when driving.